Do you all remember Elizabeth from this post? Well, if not, be sure to check it out! I just loved it. Elizabeth is such a sweetheart, has the cutest blog, and posts the most amazing pictures! I am super jealous about this giveaway because I want to win it hehe. My blog is all about my daily life as a 5'2'', 22 year old wife. So my husband suggested I write on my blog once a day about something that day that I loved. But more often than not, it is simple things that seem to make my day. I asked myself, "what is something that I would totally love." Almost immediately I thought of my most favorite store Anthropologie. a $50 gift card to Anthro!! Awesome, right? Seriously I would go crazy with this gift card if I won and I'm sure you all agree! 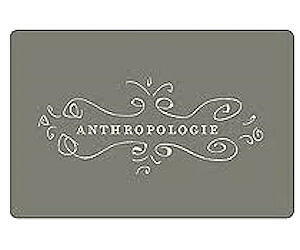 Now...time to enter to win a $50 giftcard to Anthropologie! Leave a separate comment for each extra entry. Post on Facebook about the giveaway & leave a link. Note: This giveaway is for US/Canada residents only. You have until Tuesday, February 28, 2012 at midnight MST to enter! Winner will be announced Wednesday, February 29, 2012! I followed Elizabeth's blog. :) I think its such a good idea to focus on all the happy things that happen. Today I love my sister - she is applying to serve on college ministry and I am praying for her today as her interview is tomorrow! I followed Elizabeth on Google Friend! I followed Elizabeth on twitter! Annnnd tweeted about the giveaway! I loved kissing my husband and puppy as I left for work this morning! also followed on twitter! tweedle eet! I love that today the weather is nice! I loved that my son (11 months old) starting waving goodbye to his dad when he left for work this morning. He just learned that when someone says "bye" or "see you later" you wave to them. It's the cutest thing and I just love it. Now following her blog :) Super cute! Its early, but so far I love seeing my husband this morning. Sometimes he gets up early and all I get is a kiss goodbye but with no classes today (thanks presidents day!) he doesn't have to leave as early, and we could cuddle this morning. I love that today is Fat Tuesday! It's a great excuse to eat all of my favorite (non-healthy foods)! today i love that my husband texted me to check in on how i was doing since i wasn't feeling well this morning. i love the little ways he tries to stay connected throughout the day. I love today because it's Tuesday, which translates into weekly coffee date with my 2 best friends & their kiddos! It's the best day of my week sometimes! Truly blessed to have them! I followed Elizabeth's blog! Such a great giveaway! Following Elizabeth on Google Friend Connect! I am following Elizabeth on Twitter! Today I loved the great weather! Today I love a cute little guy to play with and brighten the day when its snowing outside. I also follow her blog. I loved that I got to school today to find out that my A&P test was cancelled, hurray for extra studying! I am following both blogs! I love how my husband got so happy when I baked fresh homemade bread! I love waking up to my for week old son nestled up against me he is the ultimate cuddler. I love bubble gum and strawberries, good meetings and kisses from my hubby. I don't have/use a twitter. I loved laughing with my friends between classes at school! Best giveaway ever. Love you Lizzie! Today I loved going to the gym and having a great workout. It felt so good and always makes my day better. I also follow your blog, but I do it with blogger, I think. What a great Tuesday afternoon surprise! Crossing fingers and toes. Today I woke up and automatically took a two hour nap. I was able to get all my laundry done, and the bedding washed on 3 beds and dinner ready by 4. I call that a good day! I am now a GFC follower of Elizabeth's blog! Thank you so much for introducing us to her & thanks to Elizabeth for offering this awesome giveaway! 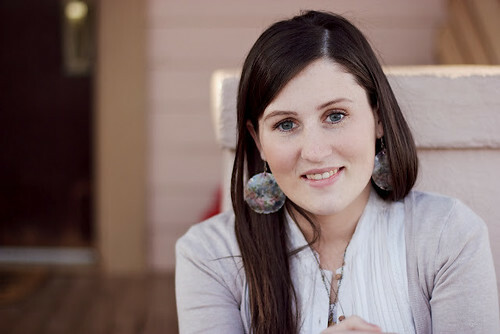 I now follow Elizabeth's Blog via GFC! It's times like this where I wish I had a twitter. :( BUT I did post about it on FB!! I am following her blog! I am following her on twitter! What did I love about today!? I loved that... I was able to learn some great things in my classes. I'm really enjoying them this semester! following on GFC as Mandy and Justin. i loved the post-workout feeling tonight! I love that I'm in London celebrating my first time in Europe with my husband. It's been a magical trip. Today I love that my husband cleans the kitchen for me, (which I do not like to do. at all. ;) The best!! I love that my kids are playing together without fighting this morning:) Peace is always nice!!! Today I love that I am actually getting things done around the house! I am now following Elizabeth! Today I loved that all 3 of my kids have gotten along well with each other. I am following Elizabeth on Twitter. I follow Elizabeth via GFC. I loved that today was a productive day! I finished all that I had planned to do and then some! Today I love that I got to sleep in!! Today I gave a presentation to Target designers and they liked my concept! I followed Elizabeth with GFC. I followed @Lizzie_justice on twitter. This is inspirational, Elizabeth! I struggle with negativity too, but I am realizing it is all mindset. What I enjoyed about today was that I am loving my new job! (Just started this week). Thanks for sharing this with us! Love that the temperature was 70! That's really not normal for Missouri in February! today i love .... both your blogs!!! :) so happy to have new friends via internet! I loved that I finally took my final exam for our renal block today - now I get a weekend off from studying! Today, the sun was shining. And that's all I can really ask for. today was our last day of school before a week long, much needed vacation! I loved my awesome date with my husband! and following her via twitter. Today I loved to spend all day with my hubby! Love that today is a start to a new day---a Saturday! And the sun is out and I'm going to see my friend Kimberly today. I am twitter following her! today, i love my family. i am so grateful for them. I love cooking! It brightens every day! I am a follower of "What I love about today"! I posted about it on fb, here's the link! I have loved spending time on the computer learning about my favorite hobby for FREE. Something I loved about today:drinking chamomile tea out of my disappearing ink Harry Potter mug while it's pouring outside. Looking into my baby's eyes. He's just the cutest!! What a great giveaway, seriously! I love that I got to talk with my girlfriends! I love the beautiful flowers on my table from my sweet husband. I love the sun! Today, I love that it's Sunday and it's sunny! It's beautiful here! Today I love that I am being gentle with myself even though I don't have plans. I love that I could practice piano and read and call my family and rest. Today I loved coming home from a long weekend out of town and sleeping in my own bed! Today I have loved just being with my family. And the warm sunshine that got us outside to play! I loved my morning latte my husband made for me! Thanks for introducing me to What I Love About Today. I'm a new follower! I loved my class today, we got a lot of work done! I follow Elizabeth via twitter as freefragments. I loved talking to my 2 year old on the phone when he was finished with preschool/speech therapy. He is the CUTEST!